It's all about 4 & 5! We are always talking about Olaplex – an amazing product often described as ‘turning back time with your hair’ – which repairs, reconstructs and nourishes hair damaged by heat or colour. We love it, our clients love it, and we want to keep spreading the word. 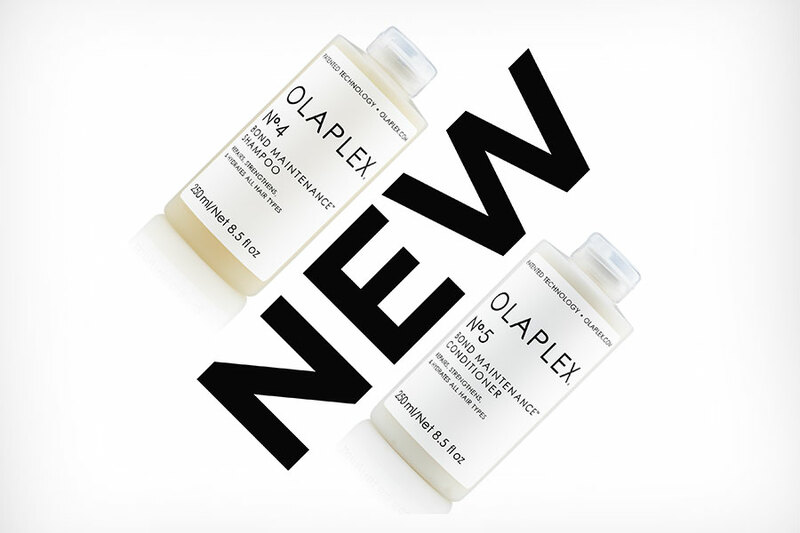 So you can imagine we’re so excited to announce two new Olaplex formulas have been launched in the UK, no.4 and no.5, the next generation shampoo and conditioner. The products focus on bond maintenance. The shampoo helps increase moisture levels, add shine and help manageability, whilst the conditioner helps to restore, repair and eliminate damage in the hair. These two new products mean we can offer you a full take-home aftercare routine to keep your hair looking as it does when you leave the salon, day after day. And to top of off, the ingredients all have a low environmental impact and the bottles are 100% recyclable. All Olaplex products are produced cruelty-free and are vegan!. And it gets better… when you book in your professional Olaplex service 1 & 2 with us, take home Olaplex 3 for £20 saving £12.50 on RRP. If you are already using Olaplex 1 and 2 in the salon and No 3 at home, we highly recommend you adding this to your homecare routine.